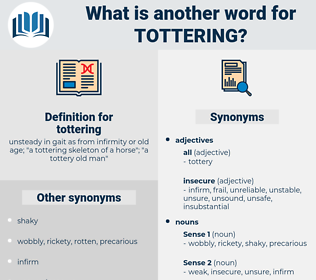 What is another word for tottering? 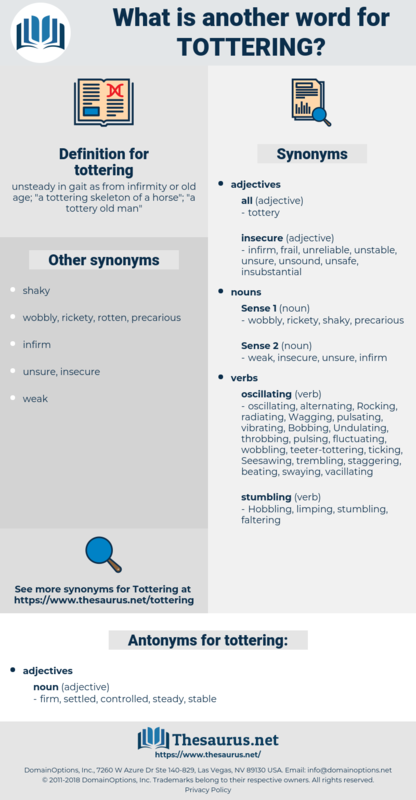 unsteady in gait as from infirmity or old age; " a tottering skeleton of a horse"; " a tottery old man"
firm, settled, controlled, steady, stable. The king, who relied on the pope for the support of his tottering authority, never failed to countenance those exactions. Then he snatched his parcel from off the seat and went, ay, nearly ran, down the patch, with the short, tottering steps of an old man.